Vera Sindika in trouble for declining to pay her laywer. Earlier this year Bootylicious socialite Vera Sindika shocked her fans after she purchased an expensive range rover for her birthday. 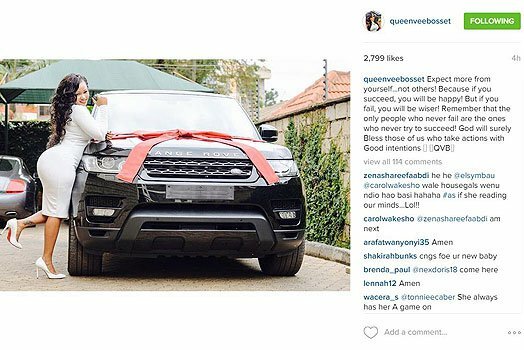 The flamboyant socialite who is know for her lavish lifestyle took to social media and flaunted her new ride and left many tongues wagging. Well the same expensive guzzler has currently landed her in trouble as one of her lawyers' Patrick Kimathi has filed a case against the sultry socialite after claimes that she owes him a ransom of KSH 615,224 which is an unpaid fee after he helped her draft a purchase agreement for her costly Range rover. 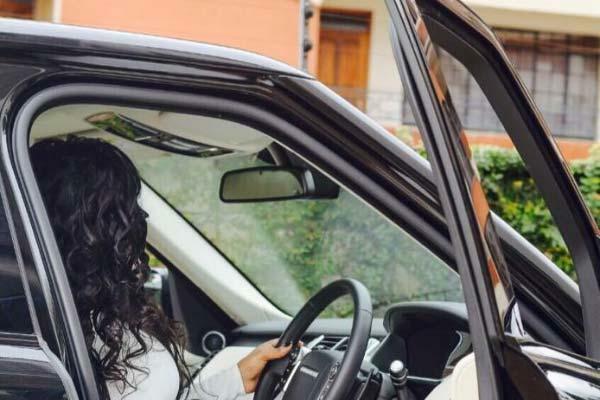 The lawyer claims Vera approached him and asked him to draft a letter of purchase agreement of the range rover on her behalf and he did his job as expected only for the petite socialite later decline to pay for his service. This has promted the lawyer to file a case at the deputy registrar's office of the High Court in Nairobi seeking Vera to pay him.